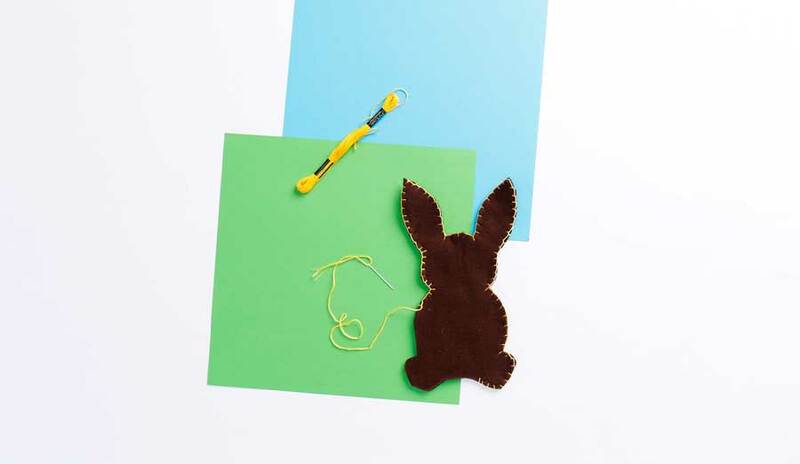 DIY the cutest & softest little chocolate brown bunny. 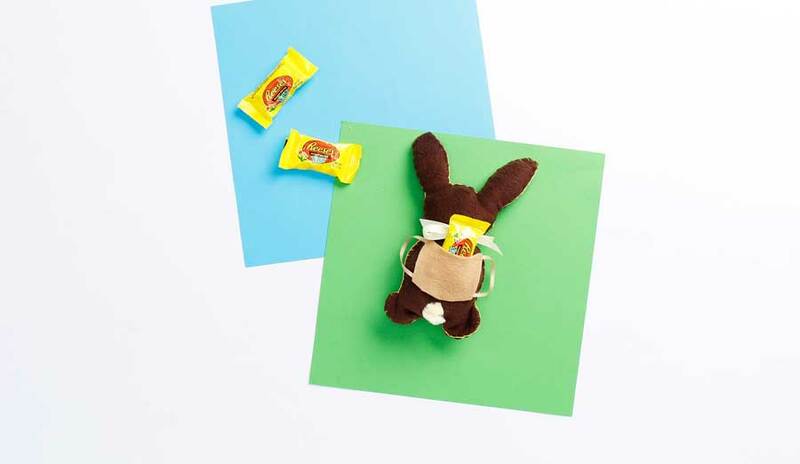 This little rabbit wears a tiny backpack designed to hold candy! 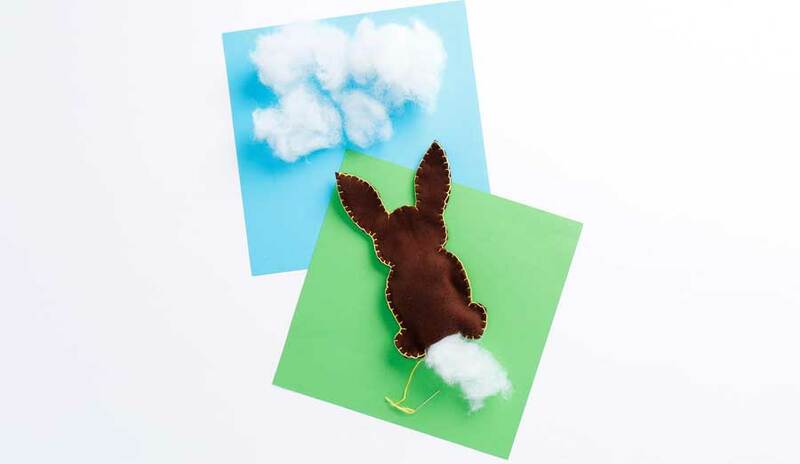 Create this easy Easter craft for an Easter basket stuffer or craft them with kids for a fun Easter activity. 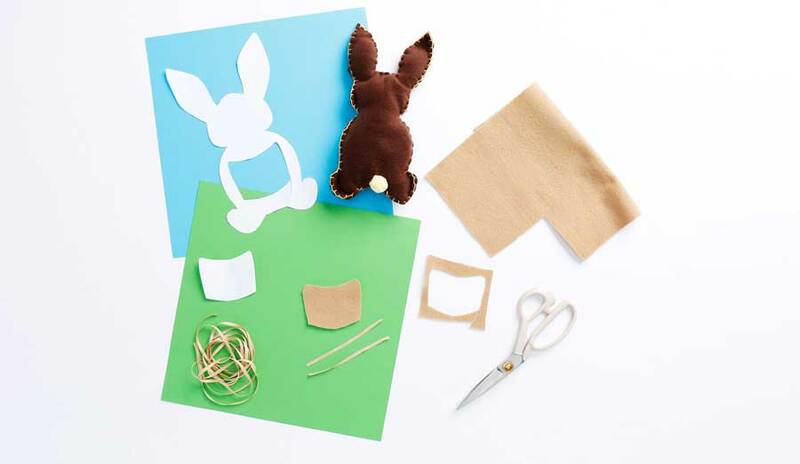 Tutorial includes a stuffed bunny pattern template & step-by-step instructions. 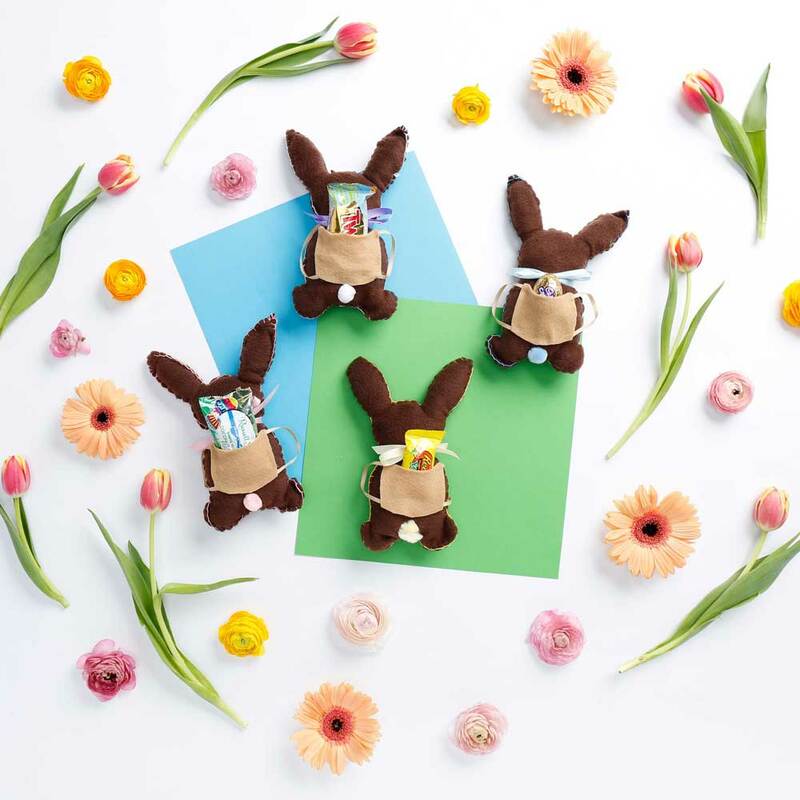 This Easter, DIY the cutest and softest little plush chocolate brown bunny. 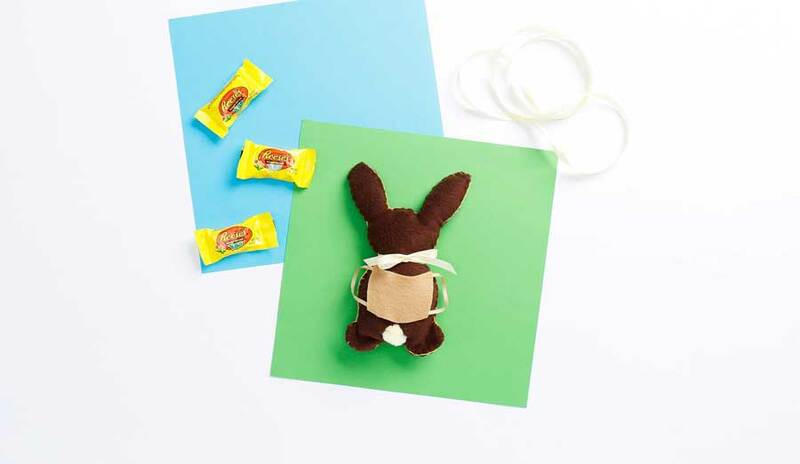 If you hadn’t noticed, what makes this craft extra special is that this little stuffed rabbit wears a tiny backpack designed to hold Easter candy! One yard of brown fleece can make at least 9 bunnies (you can make more if you are great at consolidating fabric space) and each bunny only uses a few pinches of poly fiberfill. So there’s really no excuse . . . one bunny is cute, more is even cuter. Make a bunch and fill them with favorite Easter candies. No sew? 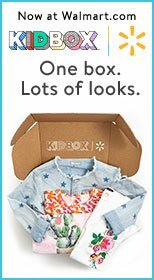 Yes, use a glue gun. Ready to craft? Let’s hop to it! 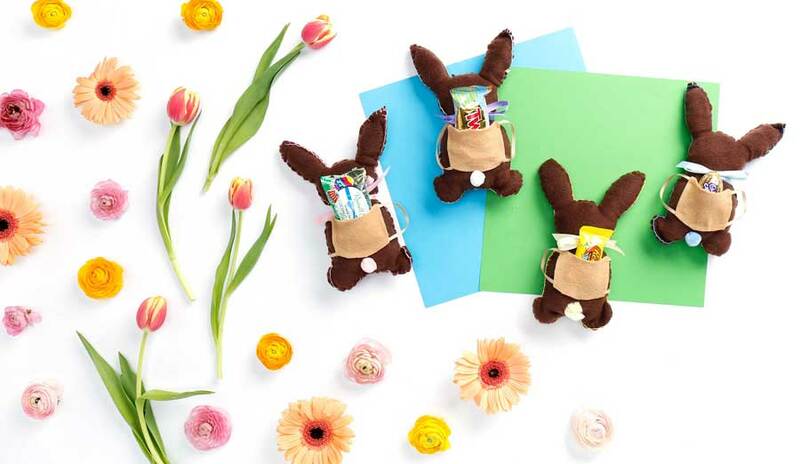 Hover & click to shop the supplies we used to create these stuffed chocolate bunnies. 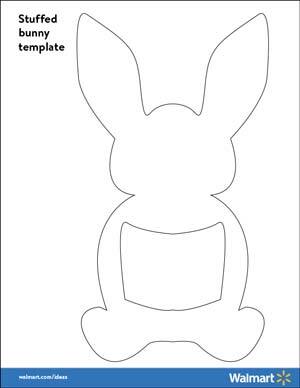 Download the bunny & backpack template. Step 1. Print out the bunny template. 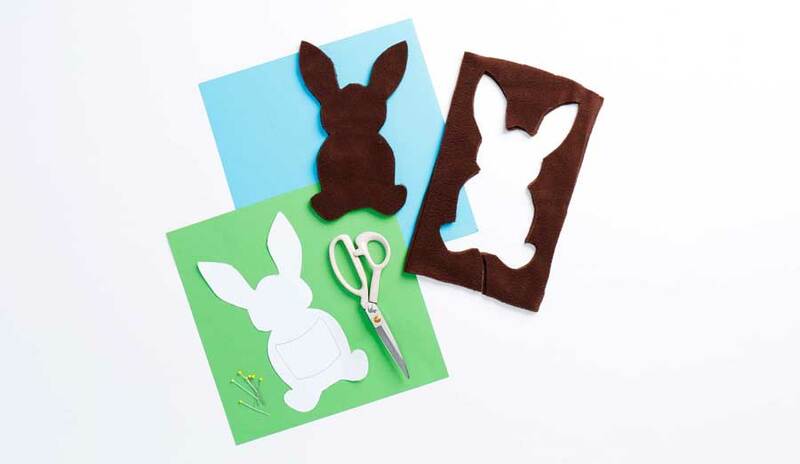 Cut bunny shape out of template and then pin to 2 pieces of brown fleece fabric. Step 2. Cut 2 identical bunny shapes. Step 3. 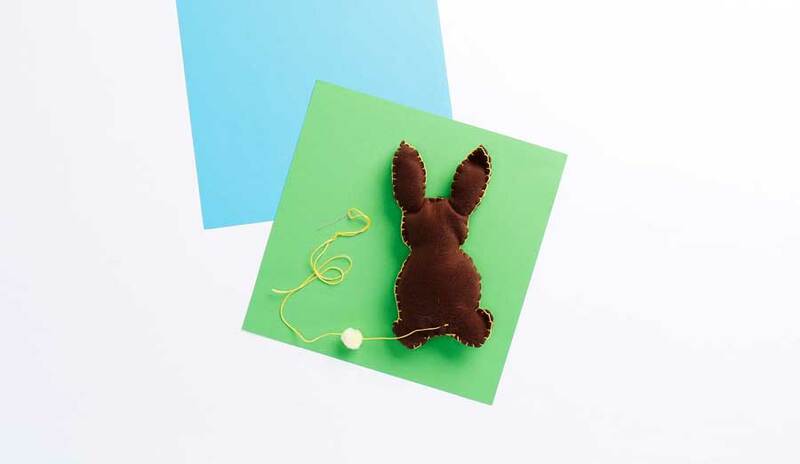 With wrong sides facing (this may not be a noticeable issue with most fleece), blanket stitch the edges together using embroidery floss (all 6 strands), leaving about a 2-inch opening at the bottom of the bunny. Glue gun directions: Use the glue gun in place of the stitching, but remember to leave a hole at the bottom for stuffing. Step 4. Stuff the bunny with polyester filling. You want to add some fullness to the bunny but it shouldn’t be overstuffed—don’t try to force a lot of fluff into the shape. Use only a handful or two. Step 5. Once the bunny is stuffed, close up the hole with the thread. Then use the embroidery floss to attach a pom-pom as the tail. Knot the thread and sew into the fleece. Use the needle to thread the pom-pom (within the pom-pom there should be a firm center area, thread the needle through that area) up then down through it. Pull taut and attach with a few stitches. 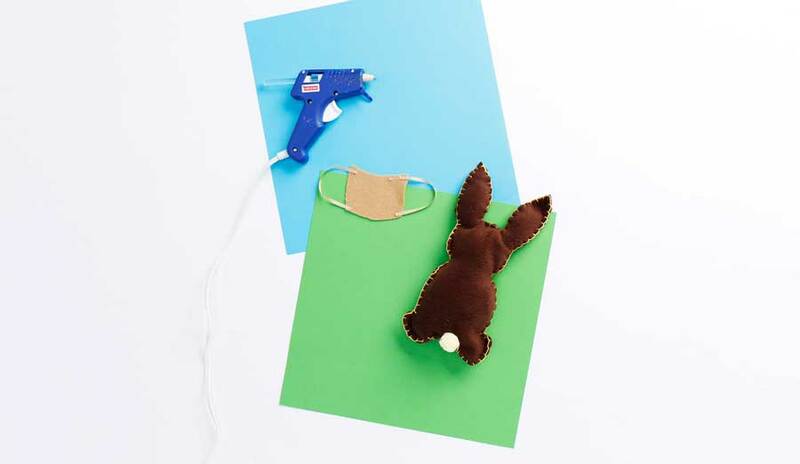 Glue gun directions: Close up the hole with the glue gun, and attach the bunny tail with glue as well. Step 6. Next prepare to make the backpack. Cut the center area from the bunny template and then cut a piece of felt using the template. Then cut 2 lengths of 1/4-inch ribbon to 4-1/2 inches. Step 7. Using a glue gun, glue the ribbon to the felt so that one length of ribbon is attached to the top left and bottom left and the other length attaches to the top right and bottom right—in a way that resembles backpack straps. Let dry. 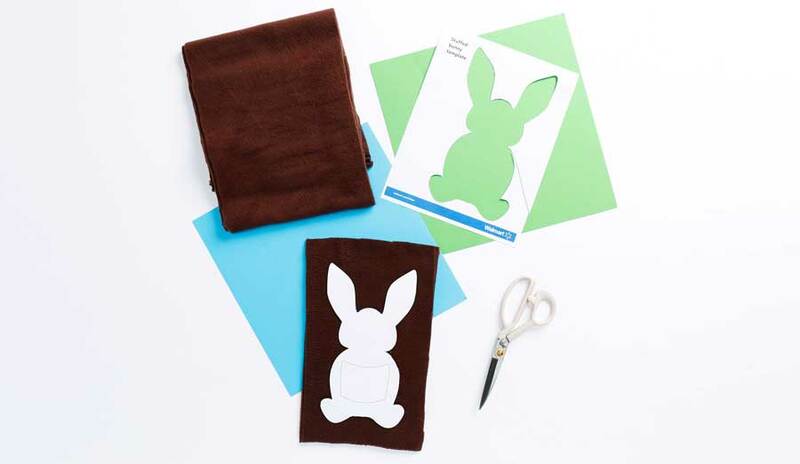 To attach the backpack, add a line of glue on the left, bottom and right sides of the interior of the backpack and attach the backpack to the bunny. Line it up so that the bottom of the backpack is just above the tail. Press firmly to secure and let dry. Step 8. Cut a 12-inch length of satin ribbon and tie a bow around the bunny’s neck. Step 9. 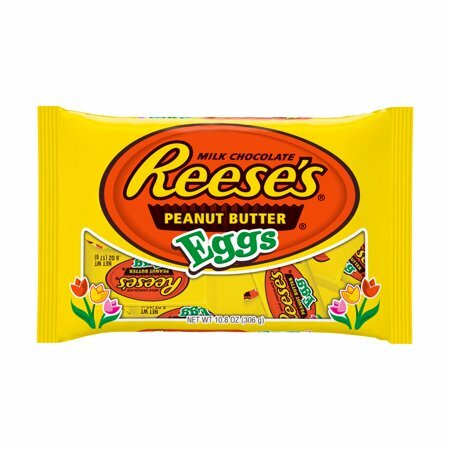 Place a small wrapped candy such as a Reese’s Egg, Cadbury Creme Egg, Twix Egg or Russell Stover Coconut Egg into the backpack. Little bunny is now ready for a grand Easter adventure. Poly-Fil Premium Polyester Fiberfill - 12 Oz.